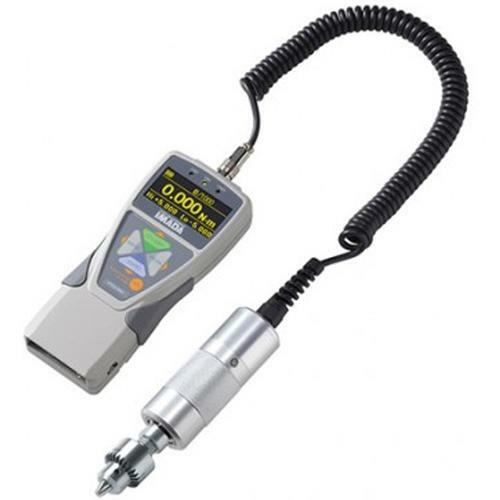 The HTGA Digital Torque Gauge features a remote torque sensor with a Jacob’s chuck. The Jacob’s chuck can be used to grip a test sample or a wide variety of grips. Test in clockwise or counter-clockwise directions. The HTGA Digital Torque Gauge features a remote torque sensor with a Jacob’s chuck. The Jacob’s chuck can be used to grip a test sample or a wide variety of grips. Test in clockwise or counter-clockwise directions. 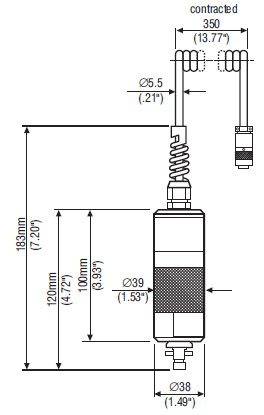 Selectable measuring units of lbf-in, kgf-cm, or N-cm. New Interface The HTGA torque tester features easy to use menus to make programming the gauge simple. Select units, reverse the display, set high/low setpoints, and set all other functions using plain language menus. Electro luminescent EL display shows torque value, unit, and peak, and can be configured with additional user-selectable data including memory data, +NG count, high/low setpoints, 1st and 2nd peaks, angle value , etc. The HTGA also has a set of 3 indicator lights. The orange, green and red indicator lights can be used in conjunction with the programmable high/low setpoints for pass/fail testing. Color-coded LED indicators alert the user to Go/NoGo conditions. Process and transmit 2,000 actual data per second, not just the peak from a high sampling rate. USB Software Capabilities All new HTGA gauge includes the device driver and ZT Logger data acquisition software. 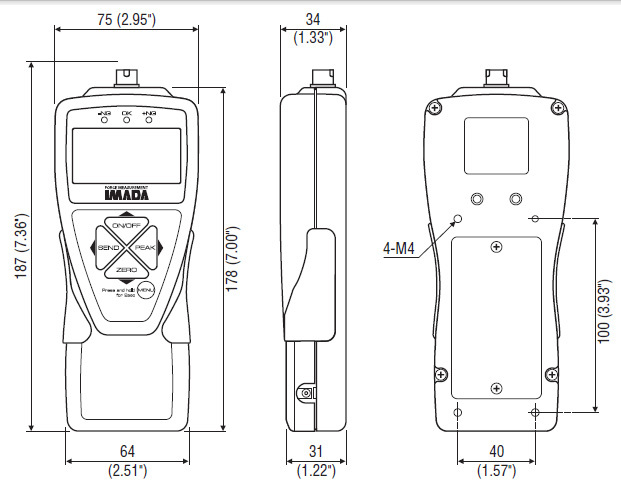 ZT?Logger can download data from the gauge memory or capture a continuous stream of data at 10 data/second. Zero the gauge or capture data while at the computer. All gauge programming can be set and saved from the software. Optional Force Recorder Data Acquisition Software is designed to capture up to 2,000 data per second. No competitors’ gauges come close to this speed! Other functions include, gauge programming, graph overlay feature, automatic statistics generation. Advanced model with various functions such as data saving in USB memory stick, angle(displacement) I/O and more.